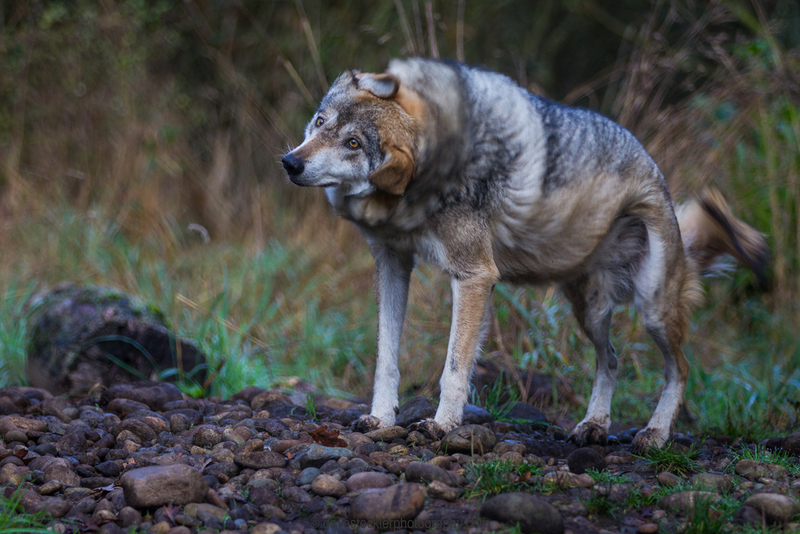 Wolf Haven’s mission is to conserve and protect wolves and their habitat. This is accomplished through rescuing and providing a safe haven for displaced, captive born wolves. 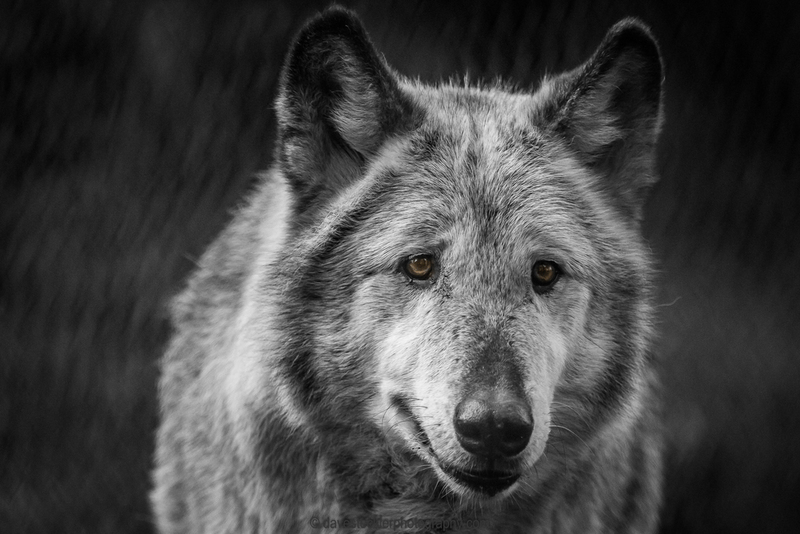 Since 1982, Wolf Haven has provided lifetime sanctuary to more than 180 wolves. Most of these wolves were rescued from private ownership. Often, the animals that arrive at the sanctuary have been neglected, abused or were facing destruction. 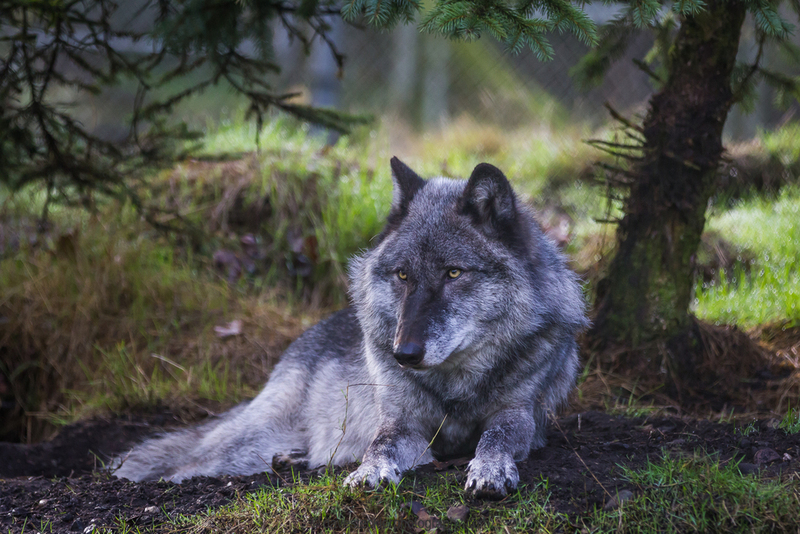 Wolf Haven International has assisted with wolf rescues from California, Washington, Oregon, Idaho, Alaska and other states. For more information about Wolf Haven International and how you can participate in a photo tour (a very special event that allows you to get closer to the animals than is typical), go to www.wolfhaven.org or call them at 800-448-WOLF. It was a very fun and exciting adventure to have been able to take these photos and learn about these beautiful creatures. 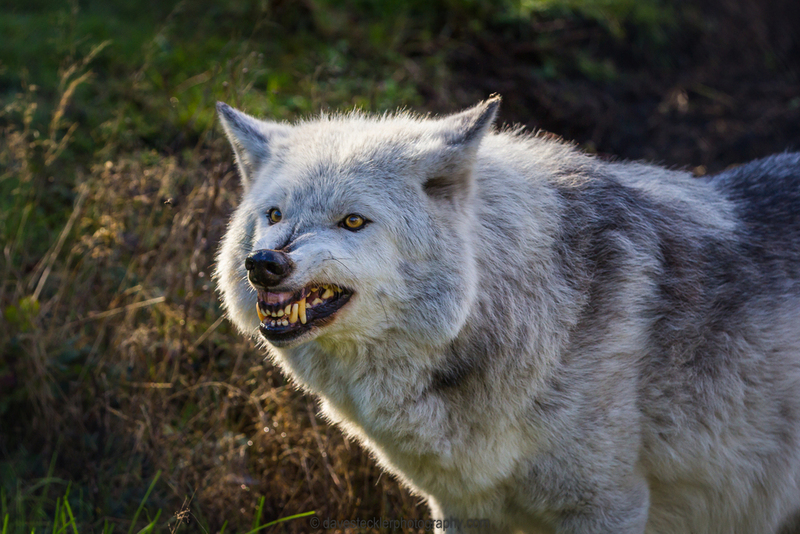 Wolves are paired up, 1 male and 1 female in each enclosure which is between 1/3 to 1/2 acre in size, surrounded by a heavy-duty chain link fence. All of these images are shot through the chain link fences.